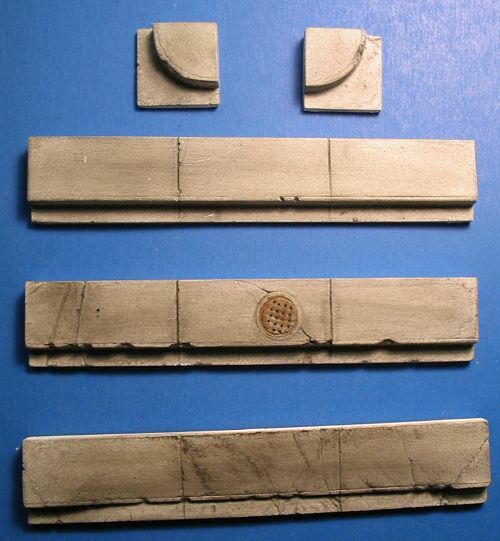 This 5 piece cast resin set consists of 2 corners, 1 straight section, 1 straight section with manhole cover and 1 driveway section. 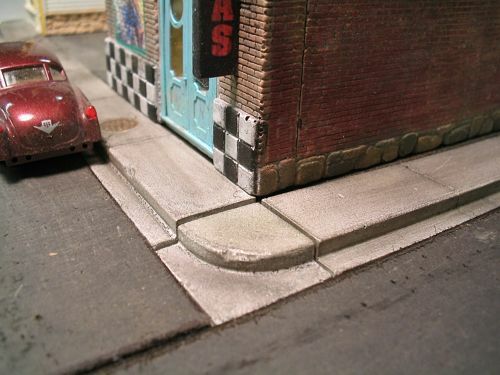 Loads of detail including gutters cast in place will make any small town scene come to life. 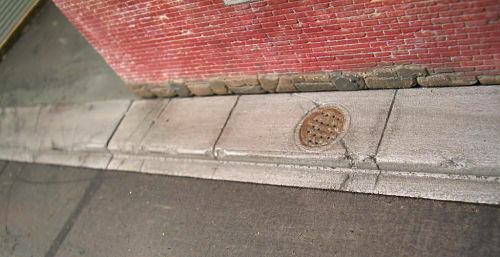 HO scale dimensions are approximately 4' (not including the gutter) wide and 27' long per section.